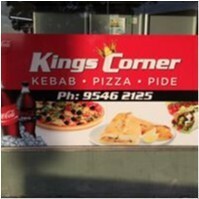 Kings Corner Kebabs joined our Mission to help provide access to “Clean Water for All by 2030”. This Mission was initiated by the United Nations. A big thank you to Kings Corner Kebabs’s team and customers for joining this extremely important mission on 28 November 2017. "The kebabs and pide offered in King's Corner are some of the best I've had from the area. They also offer delivery if you live in the local area. The service from the old guys can be a bit frustrating when ordering on the phone due to language issues but if you get the young guys you shouldn't have a problem. The prices are also competitive so if you're after some good pide, check these guys out."